As no other I know how important personal contact is when buying a new laptop or computer. I think I know what you want, but maybe even more important: I think I know what you do not like. If you want, I can decide what is the best configuration for your new system for you. Every laptop is personally made, by me. I am the one who installs your laptop and I am the one who is responsible for the quality of the product. This is why we say: not satisfied? Simply return your order and you will receive your money back. You make your own choices throughout your life. Why not with your new laptop or computer? Do you allow the configuration of your laptop to be determined by suppliers? 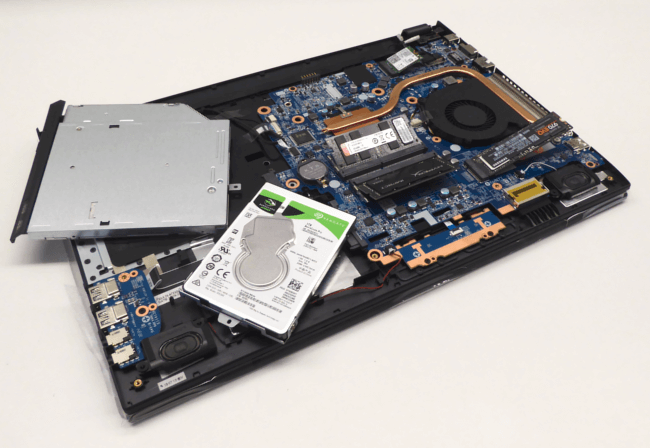 On this website, you can decide for yourself which components you want in your laptop. We call this a custom laptop. There are countless options in almost every way: from operating system to memory. We really want to help you. We understand that you might need help when configuring your new laptop. Because you don’t buy a new laptop every day. You can contact us through e-mail, by calling us or via WhatsApp. Do you prefer not to have Windows, or do you want to install your operating system yourself? Do not pay for it and configure a laptop without Windows. Prefer Linux? At NovaCustom you have a choice for all our laptops to choose different Linux distributions. Choose for example; Ubuntu, Kubuntu, Debian, Linux Mint, Elementary OS and RemixOS. Windows and Linux? Dual boot is also easy to configure and free of charge. We will set it up for you. The ugliest of laptops in common brands is the so-called ‘bloatware’. Who is waiting for dozens of unwanted applications? Even we do not. That is why we promise never to install software without your permission. If you still have a specific program that you wish to have installed on the laptop, then that is not a problem. Simply report it during checkout. Sometimes customers want to upgrade their laptop after a few years with, for example, more memory or another storage drive. We don’t make a point of this. Your warranty on other components will not expire when you replace something. Provided you replace it in a good way, of course. You don’t need to wait any longer.